Happy family celebrating teenager daughter and granddaughter anniversary. 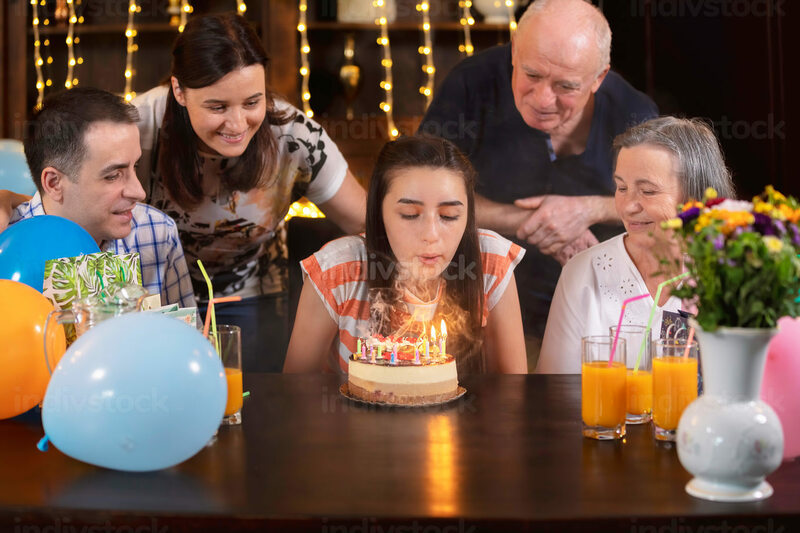 The girl blows the candles on birthday cake. People hapiness and celebrating concept.